This unique new character is the cutest Valentine ever. She will make your designs stand out. The heart cookie will be in a coming package. These cute characters want to be your Valentine. 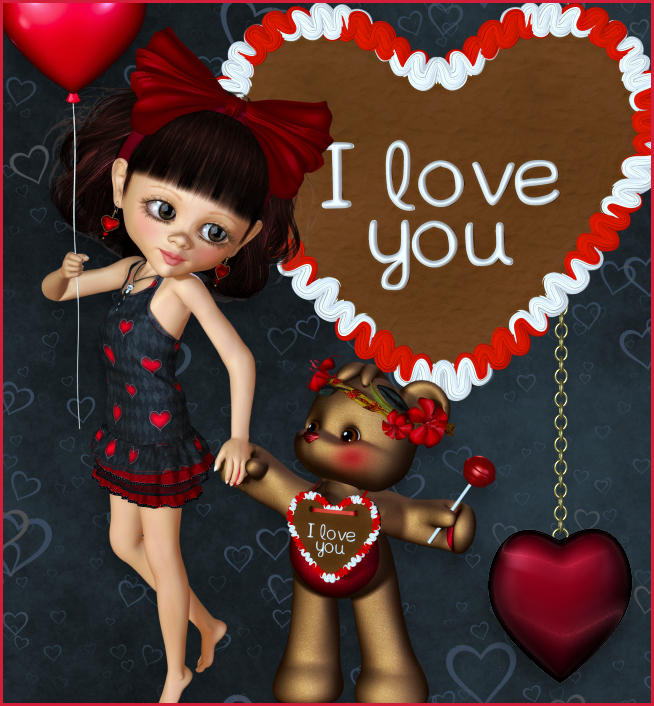 The background tile, along with an alternate version without the red hearts, is included in this package to use as backgrounds, paper making, flood fills, etc. This package also has a hanging heart and a lollipop and two versions of the teddy bear. The balloon is from my Valentine Love Package. The size of these images varies, but they are about 1000 X 2500 pixels. All are 300 DPI, making them great for print projects. This package is one zip file, which is about 56 MB. These are awesome! Do you have anymore of the newer Kiki? Thanks. This isn’t KIKI, but a custom character that I created. She’s the same character I used for my Lady Rose.